All the pizza lovers in the town, get ready to experience the most amazing fiesta of the year. 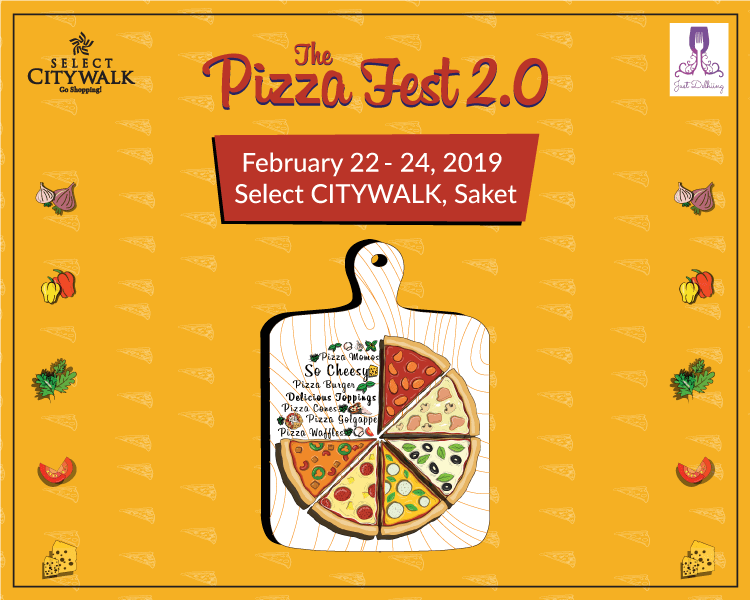 Select CITYWALK in association with Just Delhiing brings you ‘The Pizza Fest’ from February 22 to February 24, 2019 where you get a chance to satiate your food cravings with the cheesy pizza delicacies including Pizza Momos, Pizza Burgers, Pizza Cones, Pizza Golgappe, Pizza Waffles and so much more. So come along with your friends and family and let the delicious pizza ‘offerings’ make you fall in love with pizza even more!